Just outside Templemeads Station, at the entrance to the former coalyard, this sign is still visible on the gateway. 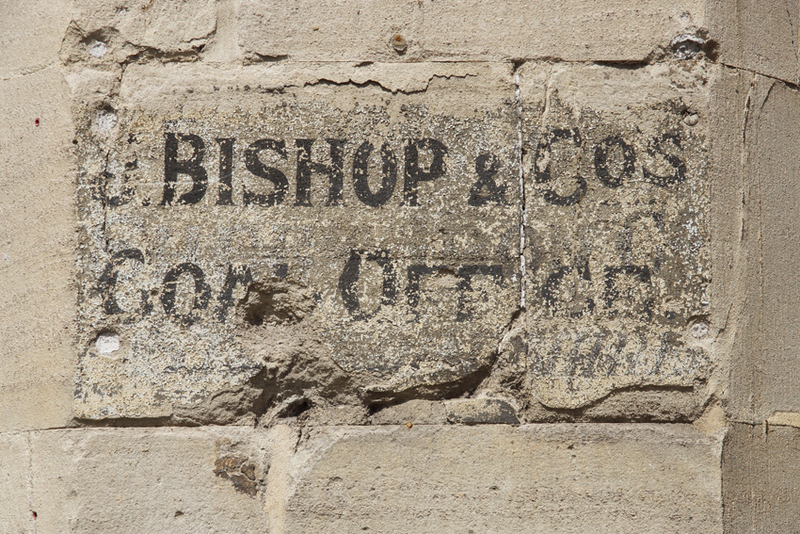 It reads Bishop & Co's Coal Office. There are also traces of an earlier sign across the centre and in the bottom right-hand corner, although unfortunately I can't decipher it. Any suggestions welcome! 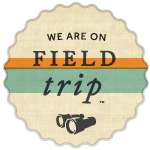 Sebastien is your man for the deciphering. 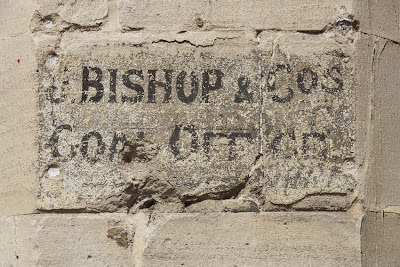 All I can add is that there appears to be an initial J before Bishop in the sign that you have already transcribed. Thank you - yes, I think it must be a J. It looks a bit curvier than the other letters, but is actually a match for the flourish on the C.